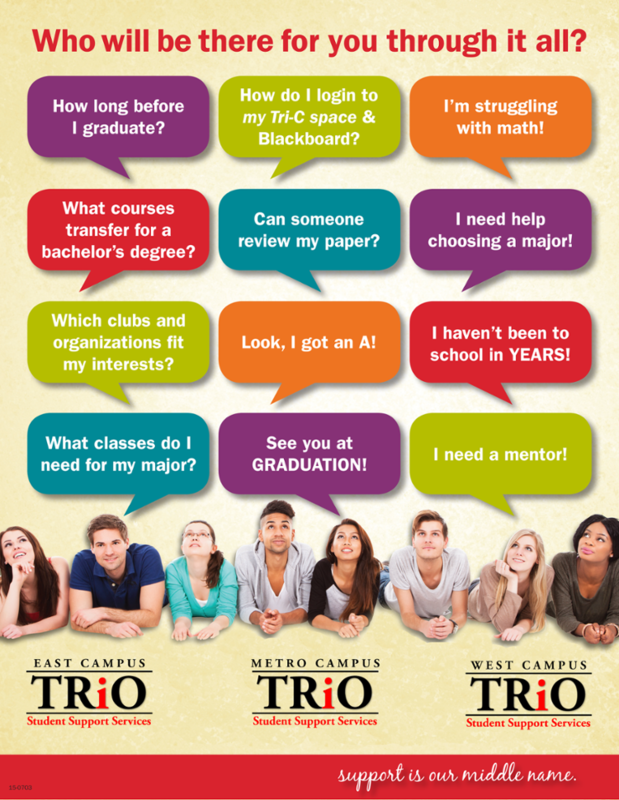 What is TRiO Student Support Services (SSS)? TRiO Student Support Services (SSS) is a federal program which helps students graduate with an associate degree or transfer to a 4-year school for a bachelor's degree. The program is open to students who are either income eligible or whose parents did not graduate with a bachelor's degree. Students must be U.S. citizens, permanent residents, or refugees. The program provides a comprehensive range of academic and other support services to eligible participants to enhance their academic skills in order to increase their rate of retention, graduation, and/or transfer to a 4-year institution. The program fosters an institutional climate supportive of the success of income eligible and first-generation college students. All program services are provided at no cost to participants. Students enrolled or accepted for enrollment at Tri-C's Eastern, Metropolitan or Western Campus.